Sheet 9u/. 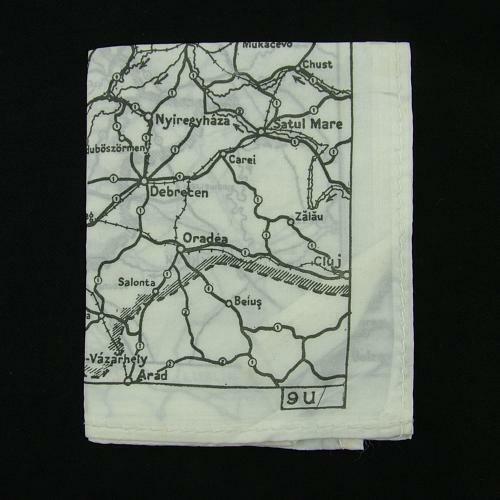 Single sided black and white silk/rayon escape map, approximately 47 x 37cm. 1 : 3000,000. Covers parts of Holland, Germany, Switzerland, Poland, Austria, Russia and their boundaries upto 1941. Hemmed edges. Air Ministry marked (most escape maps are not A.M. marked). Folded with minor creasing, otherwise in excellent condition. A lovely early map. Stock code E23314.